July 20, 2004 - JOINT HEARING W/ SUBCOMMITTEE ON HIGHER EDU. July 19, 2004 - JOINT HEARING W/ SUBCOMMITTEE ON HIGHER EDU. June 8, 2004 - JOINT HEARING W/ SUBCOMMITTEE ON HIGHER EDU. General Budget Oversight. Monitor state agency implementation of House Bill 1 by reviewing key strategies, programs, and rider provisions. Revenue Oversight. 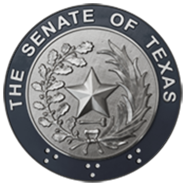 Monitor and track the Texas' key revenue sources. Develop recommendations to keep the Legislature apprised of key revenue source activity throughout the duration of this and future fiscal biennia.